@theonewhoknows: How does he stop stardust? @king_stranglehold_da_first said: Superman shouldn't be able to beat Stardust. @tifalockhart said: Stardust is confirmed planetary and regens. Stops at Stardust. @destinyman75 said: @theonewhoknows: How does he stop stardust? Glad you asked that question, my good man. "Stardust's energy output is planetary". Oooooooh! SCARY! Superman, if he were hit with a blast from this being, would be incinerated! ---so, as these examples display durability above "planetary", it appears quite apparent that Stardust's blasts wouldn't be a problem. Two can play the "intangibility" game. Well, speaking of that, Stardust can go intangible---so it's a wash! If Stardust chooses, Supes can't touch him! So THERE! ...the above is more evidence Superman can affect Stardust whether he is intangible or not. Well, Stardust will just regenerate! What about that, Mr. Smarty Pants---what will your precious Superman do now?? (C) If all else fails, Kal can BFR Stardust into the Phantom Zone, or, while giving him planet smashing punishment on the way there, super speed rush Stardust onto the Source Wall (if the former herald goes intangible, Kal can flash freeze him solid, then rush him onto the wall). Ah, Stardust opens up black holes and shoves the Kryptonian into it! Confound it, Stardust opens up a Black Hole inside Clark's overrated hide!! 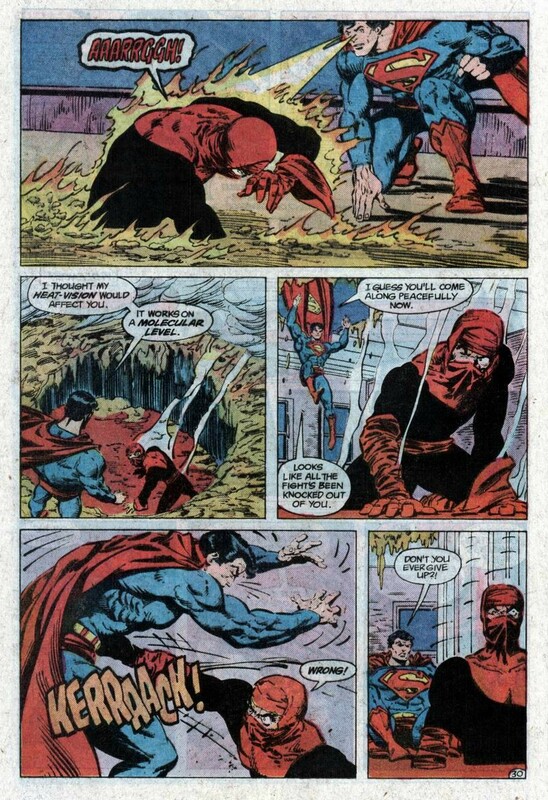 In "Superman Unchained" issues 3 and 4, Superman withstands the point blank shots of a powerful Black Hole laser which could also affect his physiology: after just one hit he was visibly damaged but he recovered in few moments and was ready to fight. 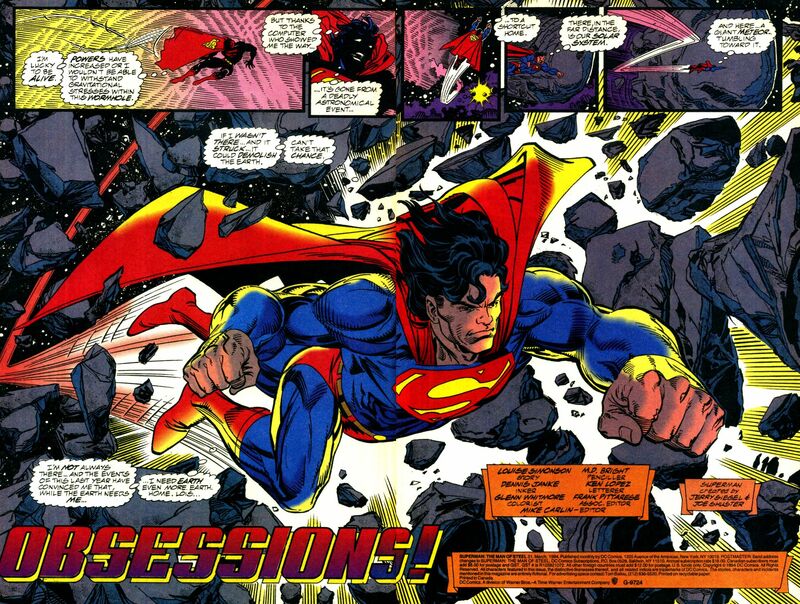 In the last 3 panels, Superman is hit with red sun bullets and missiles---sort of the same type of punishment (these last few scans courtesy of the user Toptom). 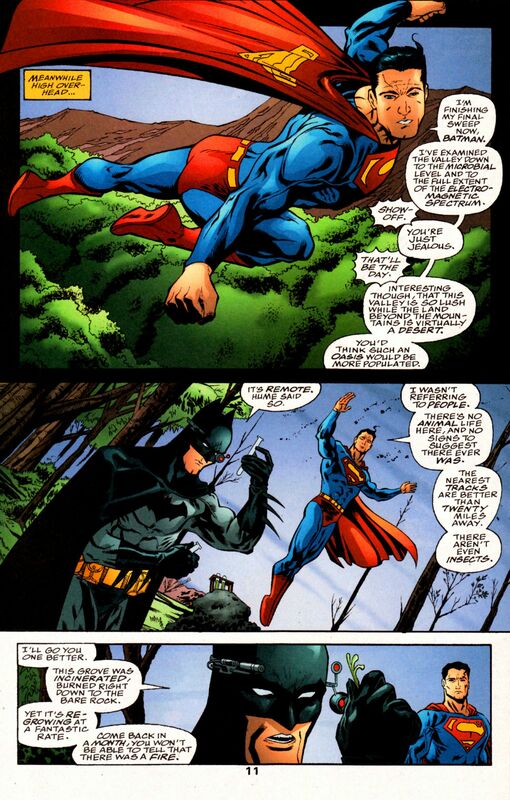 So, this clearly shows Supes can take that kind of punishment, then come right back, ready to deal out retaliation. Or, as mentioned earlier Kal could vibrate to intangibility, which would render the above tactic useless. Yes indeed---just as with Silver Surfer, Kal has the stuff to withstand whatever Stardust puts out, and the versatile power set to take Stardust out. he loses to firelord. 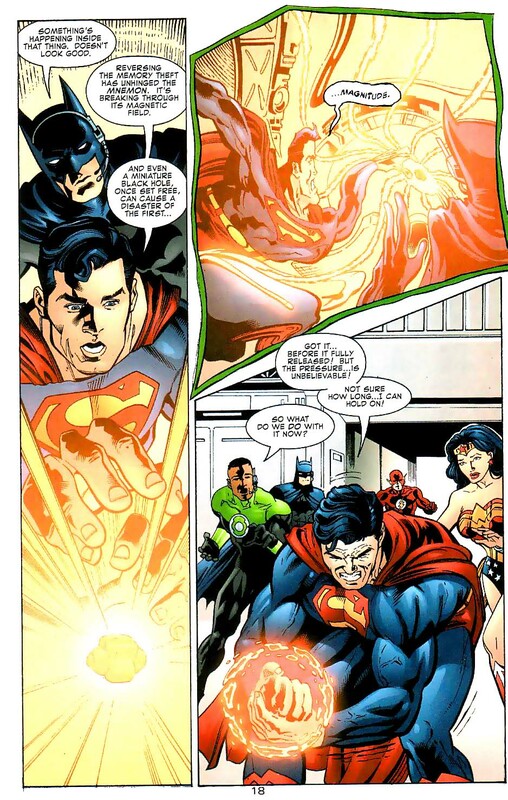 firelord will whoop superman. he beats terrax though and maybe red shift. Since evidence shows Superman can defeat Silver Surfer, he can beat everyone else on the list. He should stop at Surfer. Superman shouldn't be able to beat Stardust. @theonewhoknows: which evidence? you showed nothing but outliers/out of context stuffs,and even then silver surfer have better feats. please: comeback to me when superman can tank a big bang without a scratch, like silver surfer did here. advance intagibility/phasing that makes him invisible to galactus and even "eternity" himself. ility, which would render the above tactic useless. Supes practically never fights like that. which evidence? you showed nothing but outliers/out of context stuffs,and even then silver surfer have better feats. 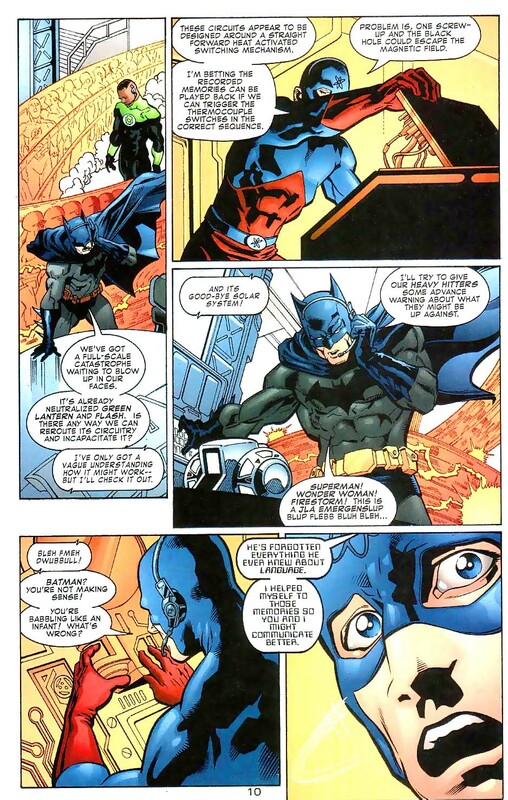 I didn't show one or two feats Kal performed back in 1988, then not ever again, I showed multiple examples in each category of Supes resisting everything Radd could do to him with see-with-one's-own eyes-scans---so the claims those feats are "outliers/out of context stuffs" is absolute nonsense. In the TP resistance section, I produced a dozen examples, with many of the characters stating out loud how well Kal was resisting the TP-a dozen examples are "outliers"??? Get out of here. Superman survived the destruction of The Source Wall, which borders and extends around to EVERY corner of the universe, AND is PAN DIMENSIONAL as well. 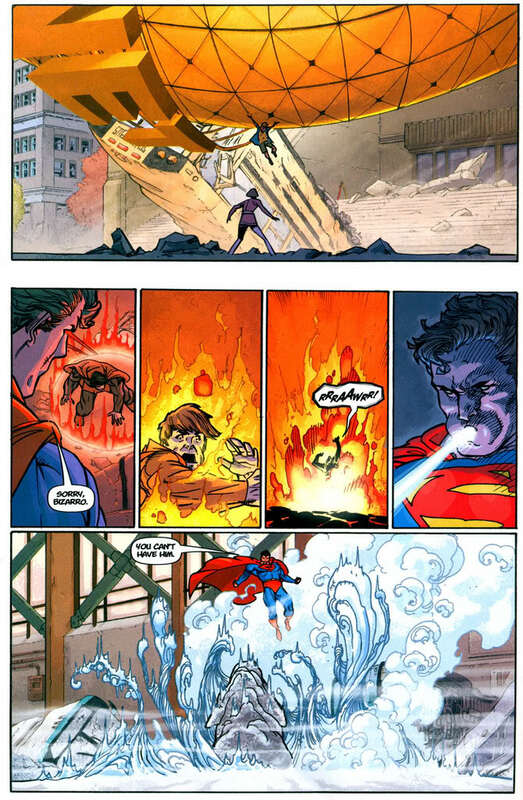 So given the above examples it simply defies logic to claim Superman, who drained-fairly quickly-a half a galaxy destroyingamount of anti sunlight from Megaddon will have much trouble reabsorbing his own solar energy back from Firelord, probably in mid transfer. The facts above, along with Supes surviving draining from Parasite (who can drain any form of energy, and can drain people down to their DNA and become them) make it clear that "draining" Superman is not a sure thing. Superman NATURALLY, CASUALLY absorbs all kinds of solar energy not just from the sun, but from neighboring stars, quasars, dwarf stars, even the secondary solar energy found in the Earth and the photosynthesis solar energy stored in plants---therefore Firelord really has no way to prevent Superman re absorbing his own solar energy back-or even casually soaking up the star energy that surrounds the battlefield. Also, And due to Superman's nanosecond https://static.comicvine.com/uploads/original/7/72524/3282457-7363874695-26303.jpg, fraction of a nanosecond http://imgur.com/a/Kizn3, attosecond http://www.geeksaresexy.net/wp-content/uploads/2011/03/sm_709_dylux_-9-copy-e1300679300858.jpghttp://static.comicvine.com/uploads/original/11113/111130781/3556932-1976765855-26290.jpg-this catching Barry Allen Flash incident (where Barry was moving so fast he was, quote, "running faster than time" and warping reality) was confirmed as an attosecond feat by the DC sanctioned writer of the story Chris Roberson, and faster than advanced alien thought combat speed http://imgur.com/a/bDvt6, it's unlikely Firelord will get the chance to try anything before The Man Of Steel attacks and KO's Firelord first. is a blue print for how a Superman/Surfer could possibly go (nowhere in any dialogue circle, thought bubble, or narration box does it say that Runner was moving at combat speeds (not travel-combat) during his battle with Radd that Supes can't match). 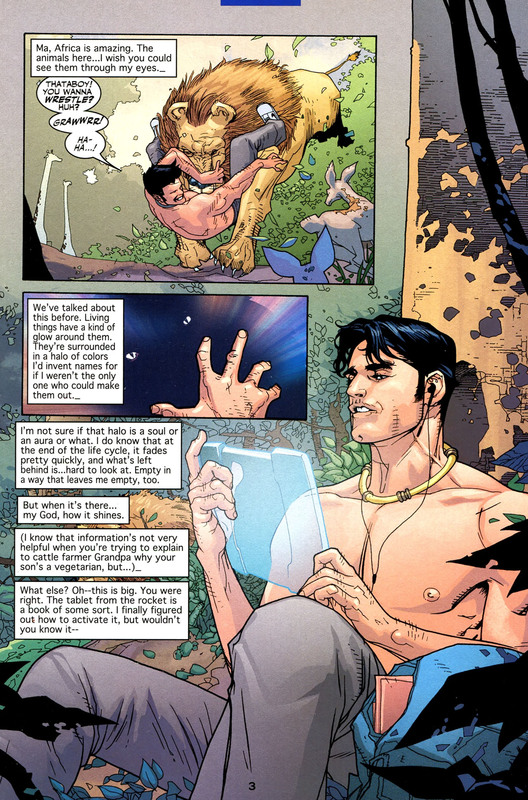 As multiple characters-many who are weaker, slower, or BOTH than Kal have used physical force to hurt or even KO Surfer (including The Thing, The Rhino, Namor, The Hulk, Thor, Vranx, a Doombot, Ikon The Space Knight, Beta Ray Bill (with a ONE SHOT), The Runner, and (compared to Superman) slow as molasses Thanos. So there is no logical reason (many of Comic Vine's unblinking, unthinking devotion to the character doesn't count) why Superman couldn't do AT LEAST as well as those characters did. ...the above is more evidence Superman can affect Silver Surfer whether he is intangible or not. Superman's vision powers allow him to see all across the visual electromagnetic spectrum and even at the microbe level http://i.imgur.com/ye44CXD.jpg and he can even see spirits http://i.imgur.com/Dajf4tF.jpg , thus there is a good chance he will see Radd coming, and use the strategies mentioned above. 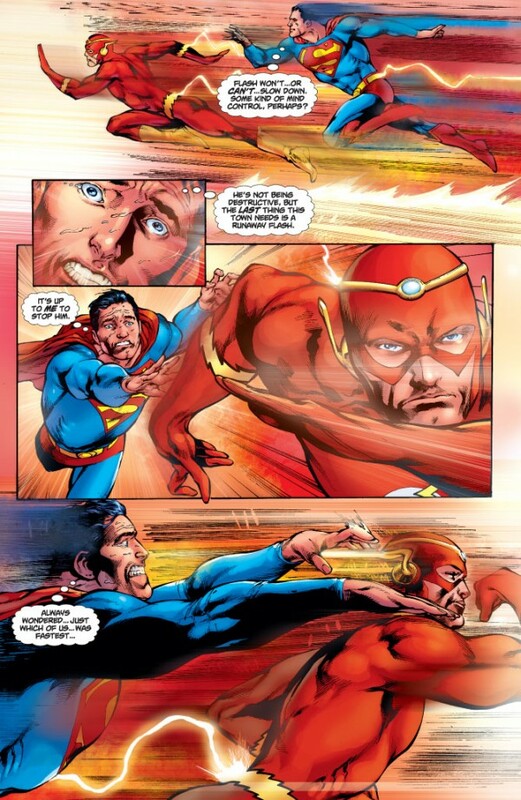 He probably won't have to though, since Surfer doesn't go intangible right off very often, will probably use his usual fighting modes in the beginning of the fight, and get dealt with; but the above examples show Superman has the means to deal with an intangible opponent if it comes to that. @trust_this_786: When I present a few examples of Kal fighting just "like that", you can't try to futilely "disqualify" the strategy simply because you don't like that it shows Superman can win that way. @trust_this_786: Superman is under no obligation to not use that strategy simply because some random user doesn't like that he can win that way. There is no rational, logical reason Kal can't use a perfectly good tactic that he has used more than once simply because you say so. 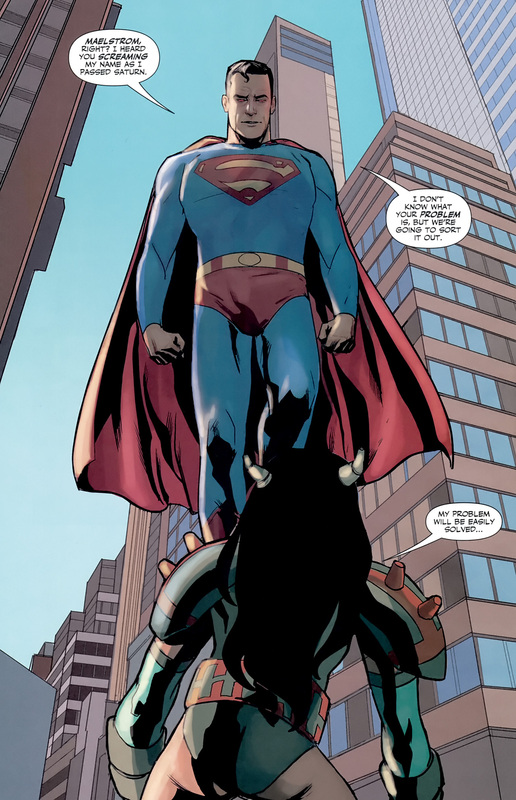 Notice how I am confident enough in Superman's abilities that I don't try to argue for his opponents not using every non PIS strategy at their disposal; I welcome anything the opponent can bring, because I am always confident Supes has a counter for it. The fact that you apparently don't have an equal amount of confidence in the reverse, and are trying so hard to futilely "disqualify" a perfectly legitimate strategy and ability of The Man Of Steel is very, very telling, and tells me all I need to know about the truth of what I'm saying. Here Surfer manipulates his size to that of an Atom. Surfer could easily defeat him in this form as Supes would have an extremely difficult time hitting him(yes I'm aware he can see atoms doesn't help his precision). In the TP resistance section in post 46, I produced a dozen examples, with many of the characters stating out loud how well Kal was resisting the TP-why are you coming right back with "Surfer could just put Supes in a trance" when that mode of attack has already been addressed and countered? Any claims that Surfer will affect Superman's intangible form because he managed to affect The Vision is a completely unwarranted assertion, because the Vision's abilities are WAAAAY inferior to Superman. In a battle with Count Neferaria, Vision was not able to pass through him, because his density was too vast for the android to phase through (and that allowed the villain to strike Vision despite his "intangibility". this means that using the Vision to compare to Supes is an instant non-starter. Not to mention, Superman phases DIFFERENTLY than the android, and Vision can't offensively vibrate like Kal can. 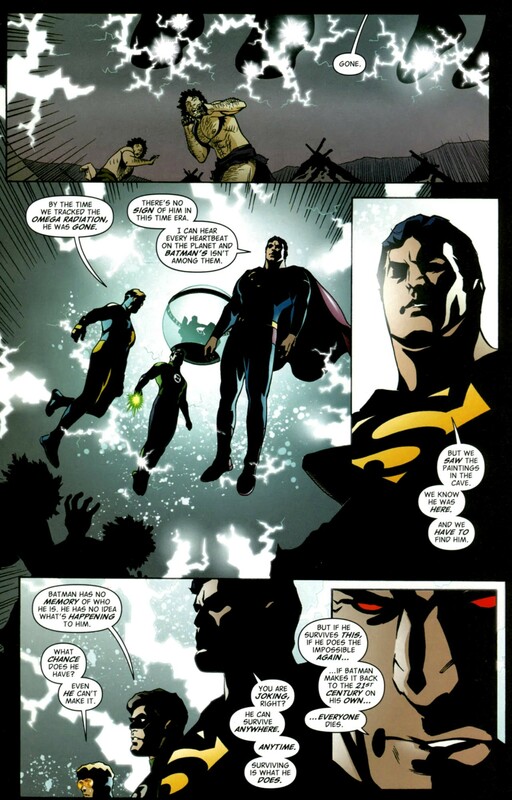 Supes easily matched the natural vibrational frequency of, then counter vibrated super durable opponents like Cyborg Superman, Darkseid, and an omniverse threatening rogue planet into oblivion. So do you think it is logical to state-FOR SURE-that Surfer's efforts would be successful in harming The Man Of Steel's intangible form by using the far inferior Vision as some sort of comparison? I don't think anyone-if they're being HONEST-can truly claim that. I already dealt with the possibility of draining, yet you're right back with this. What is this thing you have about repeating things already countered? Read post 62 again. Morals off, I can see him getting to Norrin tbh. @trust_this_786: You keep trying---and you keep failing. "The scan clearly states he has to concentrate in order to perform this"
"Doubt he's gonna be concentrating a little man the size of an atom hits him this fast"
Did you miss (or probably willfully ignore) in the speed section of post 46 that Supes has nanosecond, attosecond, faster than thought, etc combat and reaction time speed? It doesn't take Kal long at all to "concentrate" using his powers. Surfer also had total control over his board which he can use for a surprise attack to attack Supes. Surfer is going to take by surprise a guy with super hearing so acute he can hear every heartbeat across the planet Earth and single out Batman's, http://i.imgur.com/Dd7dkmj.jpg , hear someone screaming on Earth as he is passing Saturn http://i.imgur.com/bKToHaS.jpg and has that attosecond and faster than thought speed I mentioned to react long before the board gets anywhere near him? You just, in as little as a bit over three hours ago, viewed several instances of Superman exhibiting durability well above "planetary"---so why are you right back mentioning that, as if that's supposed to be something Superman should fear when he has withstood much worse on multiple occasions? No offense, but-short term memory issue, or something? Yes, I guess you have some short term memory issues, indeed. 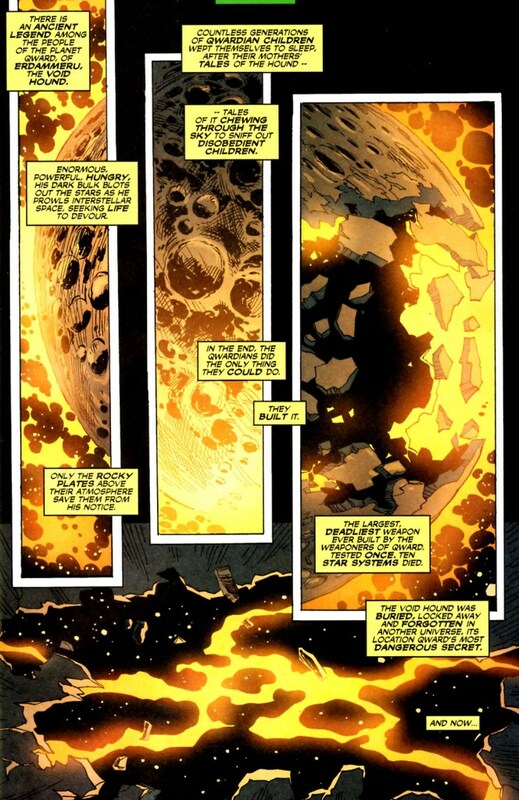 Why are you mentioning "TK strong enough to surf a moon into the Eater Of Worlds himself" when Superman has the strength to resist Black Holes https://static5.comicvine.com/uploads/original/11120/111200299/4436760-1724815-1340779_154613_lightspeed2vm5_super.jpg and https://static.comicvine.com/uploads/original/11118/111183975/5075682-7969174004-62708.jpg and on another occasion, https://qph.ec.quoracdn.net/main-qimg-23e4d8a0cfb64119b9652f54233d79d4-c- then flew from another universe to our solar system for 60 days straight, enduring the vacuum, pressure, and several types of lethal radiations without a solar recharge, for good measure https://i.stack.imgur.com/cxwbw.jpg and even hold the crushing entropy of a black hole http://i.imgur.com/A9qHb7u.jpg powerful enough to destroy the solar system according to the JLA's sophisticated instrumentation http://i.imgur.com/GGrpYL0.jpgin the palm of his hand-to hold in that much power for even a second without getting torn apart, much less as long as Kal did is an unfathomable display of power. Are you seriously claiming a Superman that can resist the virtually nothing escapes, not even light pull of Black Holes would be concerned with TK only at moon weight level? As I showed in my last post, Superman has such vibration control, he can match the natural vibrational frequency of, then counter vibrate an omniverse threatening, enormous planet into oblivion; it will be no problem for him to vibrate out of a not nearly as large surf board. The Milky way is a fifth of that put that into perspective. You just, as little as less than three hours ago, viewed several instances of Superman exhibiting durability well above "planetary"---so why are you right back mentioning that, as if that's supposed to be something Superman should fear when he has withstood much worse on multiple occasions? No offense, but-short term memory issue, or something? Don't see how the bolded feat is gonna help him when Surfer is on top of him. He's already shown TK and raw strenght feats capable of restraining him. @trust_this_786: Dude, stop. (A) Surfer would have to demonstrate combat speed waaaay above Kal (not near, or even equal, but waaaaay above Kal) for you to get away with claiming Radd would-for sure-attack in atom sized form before Superman saw him with his super vision and reacted with his super speed, (B) Your comment "I'm discussing SIlver Surfer not Stardust"
confirms you are pranking me. Superman's durability level doesn't magically change, whether he's facing Stardust or Surfer! If someone dishes out "planetary" punishment, and Superman has withstood well above that on multiple occasions, it doesn't matter who is dishing out said punishment, Stardust, Surfer, or whoever! 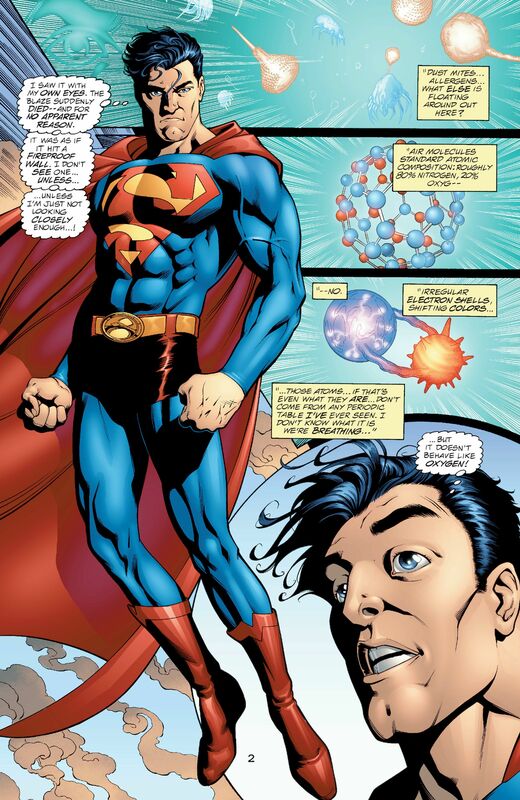 Superman's durability level doesn't change because the opponent changed, as long as each is dishing out "planetary" trauma that is well within Kal's ability to take, and (C) I just showed you Superman can resist Black Holes, and you come right back with "Surfer's TK can restrain him". If the TK is at moon moving level, and Superman can resist Black Holes which is above that, what are you talking about? Your attempts to get a "win" over Kal is getting more than a little ridiculous. The damage output Supes is capable of can be displayed with a single example (that was already shown, but you apparently skipped over/willfully ignored)-Superman can one shot smash a meteor big and dense enough to destroy the Earth http://i.imgur.com/b6ISW3b.jpg (which, since Kal can smash something that can destroy a planet makes him a planet smasher). Enough of those delivered at super speed on Radd and he's going down just like he did when The Runner pummeled him into unconsciousness. @trust_this_786: Dude, stop. (A) Surfer would have to demonstrate combat speed waaaay above Kal (not near, or even equal, but waaaaay above Kal) for you to get away with claiming Radd would-for sure-attack in atom sized form before Superman saw him with his super vision and reacted with his super speed, and (B) Your comment "I'm discussing SIlver Surfer not Stardustconfirms you are pranking me. 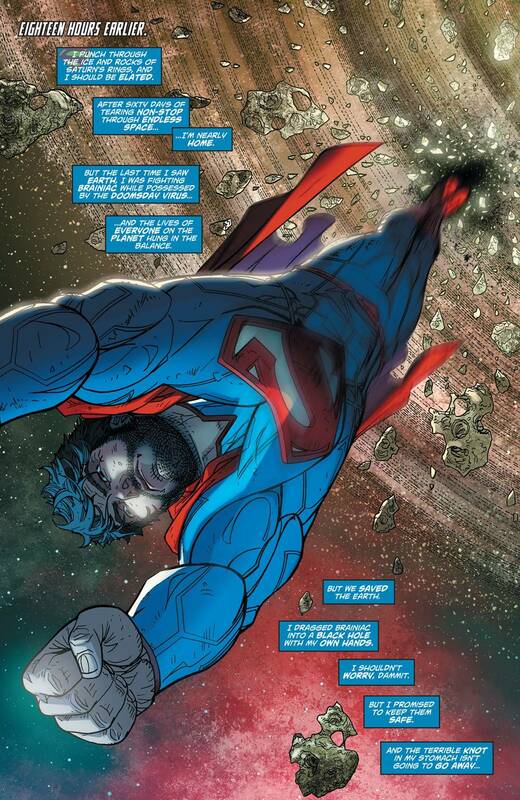 Superman's durability level doesn't magically change, whether he's facing Stardust or Surfer! If someone dishes out "planetary" punishment, and Superman has withstood well above that on multiple occasions, it doesn't matter who is dishing out said punishment, Stardust, Surfer, or whoever! Superman's durability level doesn't change because the opponent changed, as long as each is dishing out "planetary" trauma that is well within Kal's ability to take. Your attempts to get a "win" over Kal is getting a little ridiculous. Im pranking you lol. look back at all my posts they are for Silver Surfer not Stardust lol. Lowball is real. If Im pranking you can tell a mod. I was discussing SIlver Surfer not Stardust. Literally, see this happening to Supes lol. The Stardust example is perfectly fine to use-if both Stardust and Surfer dish out planetary trauma, and Superman has resisted above planetary, it doesn't matter which of them is dishing it out. Planetary punishment is planetary punishment, and Kal has withstood well above that. I just got through showing how Supes can vibrate out of the board, so you can personally "see" all you want; doesn't make it so. Silver Surfer is the only one here who has a chance at taking Superman down. This is Post Crisis Superman. If we look at new 52 Superman that Superman bench press the planet for 5 days straight and only broke one sweat at the end. 6.6 Sextilion tons the earth ways so that is going to be a heavy hit someone will take. Though it isn't like the Surfer has been knocked off the board before to which he does get weakened if he loses contact with the board. If need be Superman we not held back as in someone else gets to shine can kill basically incinerates your brain by using your eyes as a microscope with extreme accuracy. This is a superman that fell from the moon all the way back to earth and got back up pissed rather than near death. A Superman that has held a mini blackhole, traveled from Alpha Centari to Earth within mere minutes. Superman knows pressure points like batman only he rarely uses them. Does know some kryptonian martial arts. a races the flash of Barry and Wally who are WAY faster than any speedster Marvel has. Superman pretty much clears the lot but it comes down to Silver Surfer and Superman. @trust_this_786 tbf This is Post Crisis Superman though. That is like saying Silver Surfer shown hiding before Galactius. Of how easy it can be to destroy Silver Surfers board. How does he stop stardust? @darkseidthanos: My post, in detail, answered everything you asked. If you are unwilling or unable to read, that is on you. Seriously, if you are unable to process information, just admit it; the scans show Superman using his powers to overcome the intangibility; Superman inside a Black Hole talking, moving, and ultimately powering out of Black Holes when he gets ready to; Superman being so strong he held a Black Hole powerful enough to destroy the solar system in his hand for quite a bit; even fighting when Black Hole laser guns put Black Holes inside of him; how Superman can vibrate to intangibility to make the Black Holes ineffective against him; and how Superman can discern the natural vibrational frequency of anything, then counter vibrate it to oblivion (like he could do to Red Mist or Stardust despite their ability to go intangible). All of this in the post-so, all you have to do is read it. Is reading extinct with this generation, or something? 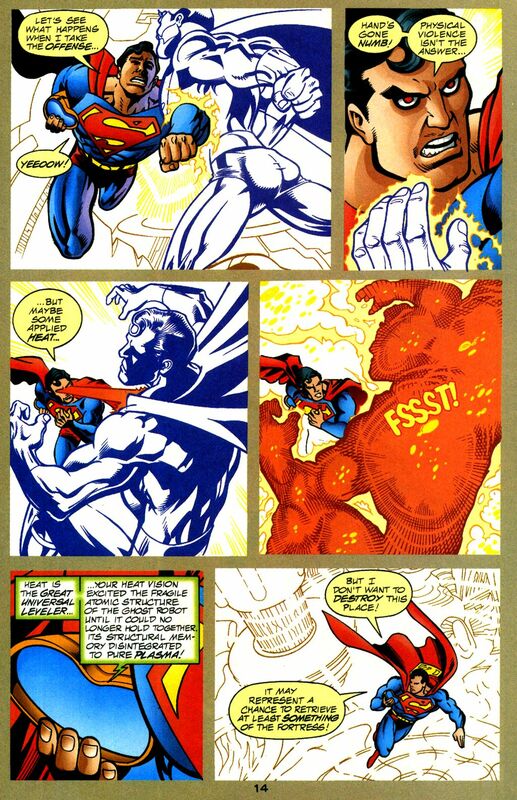 Could stop a Terrax, but no way is Superman defeating Stardust. All of the heralds of Galactus have the power cosmic, so in that sense wouldn't they all be capable of beating this version of Superman? But anyway he stops at Stardust. @jagernutt: Superman has dealt with intangible opponents with both his heat vision and frost breath, Superman has withstood above the "planetary" energy blasts that Stardust emits, and Superman can match his natural vibrational frequency, then counter vibrate Stardust to oblivion. 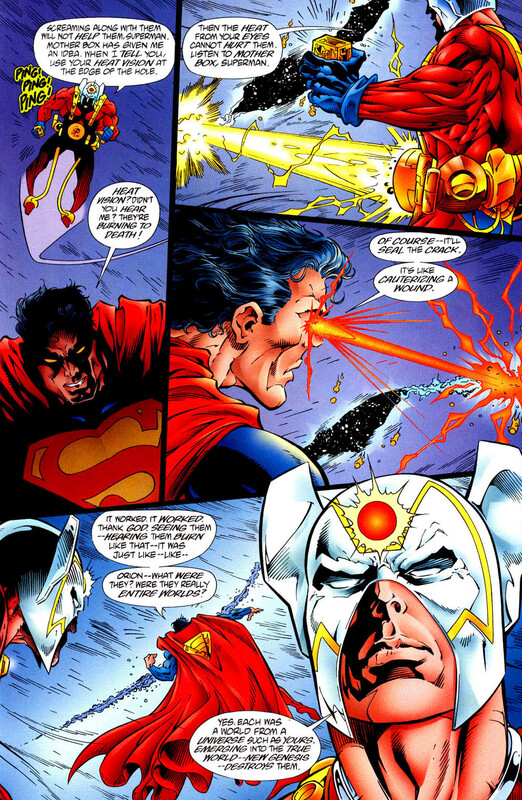 So the claim "no way is Superman defeating Stardust" is incorrect. And I ask my 1st question again, how does he take down Stardust who can't be taken down by physical means, you've ignored this question twice now.. The Black hole literally went off in his hand (the momentary distortion is clearly visible) before Superman closes the seal back up. He has to continue to hold it to keep the Black Hole in, other wise he could have layed it on the table with no problem. And proving you don't read, the Black Hole was powerful enough to destroy the solar system according to the JLA's sophisticated instrumentation http://i.imgur.com/GGrpYL0.jpg so the size doesn't matter. I mean, it's right there in the scan how powerful it was! So actually, you are the one that is telling a "lie". READ, son! Oh, for the love of-! The Black Holes were shot into the man, and he was bleeding from them! So, YOU "lie". Oh, the lack of reading comprehension-! Show me where I posted "Vibrating will help superman from being pulled by the black hole". I defy you to produce where I typed those words. I stated (A) that is the way he can affect Stardust or Red Mist when they are intangible (in addition to using his heat vision which disrupts intangible beings on a molecular level, and his frost breath, which is cold enough to freeze them). Scans were provided of Kal doing this, and (B) vibrating to intangibility would prevent the Black Holes from hurting him if they were placed inside him (the Black Holes can't hurt what they can't touch). Vibrating wouldn't prevent him being pulled into a Black Hole, it would prevent him from being hurt by one if it was placed inside him. If you would actually take the time to read-not skim, but actually read and comprehend-all would be quite clear. 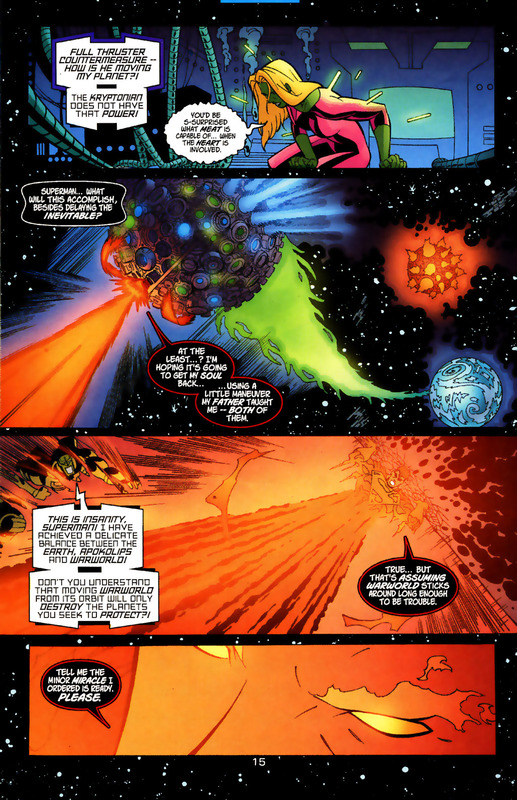 Superman doesn't need to vibrate to deal with Black Holes as the scans clearly show (so where you got him having to vibrate to do it is unknown). Read! Don't skim----READ. No I haven't! It is in the post!! Great Rao, Great Hera, and Holy Willfully Ignore Evidence, Batman! 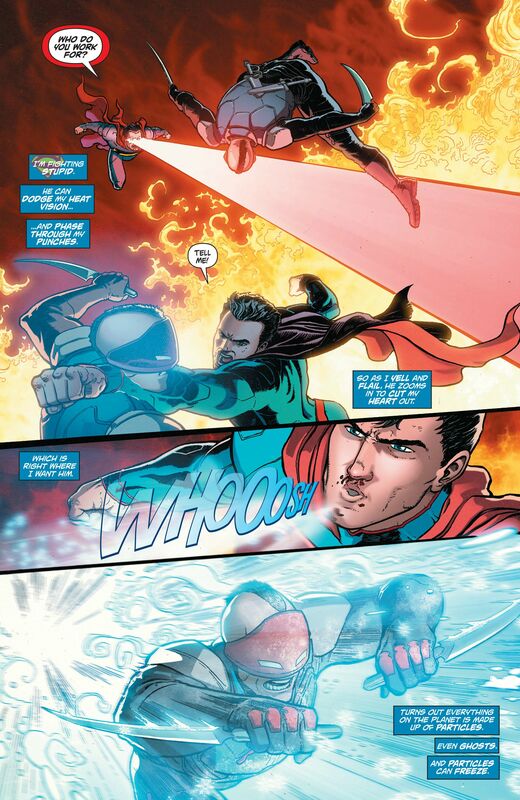 Superman's heat vision can affect ghost like, or intangible opponents like here http://i.imgur.com/XtHpJwz.jpg and here, against The Weird, who can alter his body to phase, and/or achieve an intangible state http://i.imgur.com/nJM7Kp6.jpg And since Post Crisis Supes, due to the "Rebirth" story line, is now combined with the history, experiences, and abilities of N52 Superman---Kal can freeze intangible opponents with a flash freeze http://i.imgur.com/cqvteCC.jpg ; his breath is powerful enough to freeze his equal Bizarro in place http://i.imgur.com/HGLESCH.jpg so if Bizarro can be held in place, Stardust or Red Mist should be able to. Did you just say great Rao? And using tactics like the phantom zone and source wall is like me saying Stardust calls galactus and he one shots superman, things like source walls and phantom zones arent applicable in the battles cause you're basically saying supes needs outside help and when has superman frozen something that can survive in the vaccum of space? Intangibility has got nothing to do with it. Stardust simply cannot be harmed by physical force. Even if Superman ripped her head right off of her shoulders she would continue on fighting almost as if nothing was even happening to her. Stardust could be torn apart at the molecular level and still reconstitute herself. @darkseidthanos: So your strategy is just to willfully ignore evidence to get out of conceding anything---just like I thought. Boy, did I have you pegged. So now the size is too small. I see. And when we get to the huge Black Holes joined together, it is lowballed into "Superman was struggling". Yeah, him straining a bit to escape two huge Black Holes simultaneously-and doing it---boy, what a punk. Why, any 'ol body can withstand double Black Holes and escape them. Why, Lois Lane could do it no problem! Superman was moving around inside two Black Holes with no problem. he'll have no trouble dealing with Stardust or Red Mist. Stardust is intangible, and your playing semantics with terms to describe him, and futilely try to get out of conceding Kal can affect him doesn't change that (narrations in comics depicting him, and write ups about him describe him as just that, "intangible")---thus he will be dealt with by the heat vision or the frost breath. I literally showed you Superman using vibration in a fight (and mentioned other incidents of Superman using this tactic) and you come right back with "Has he EVER used it in a fight? I certainly did say "Great Rao"; that's how much your last statement startled me! 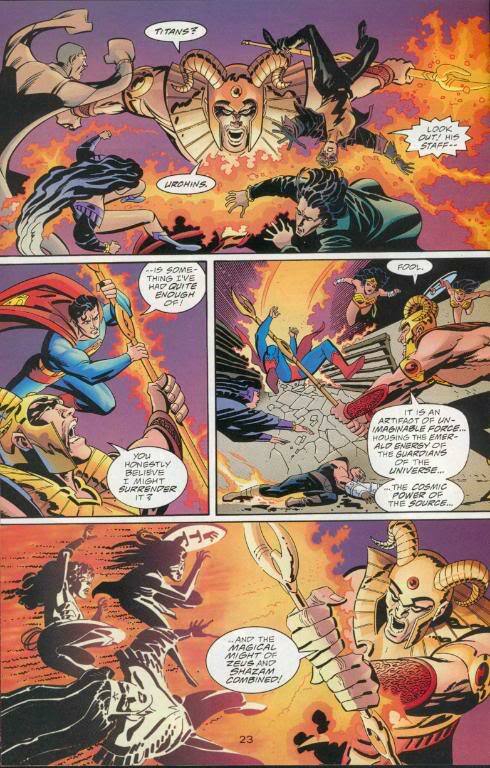 The Phantom Zone is a solid part of Superman's arsenal to take out powerful foes (he's used it to defeat dozens of White Martians attacking Earth, Dominus, Kryptonians Zod, Faora, and Non, Mongul, and many, many more) and The Source Wall has been used to deal with opponents quite often as well (including Ares, Superboy Prime, and Darkseid). That is not comparable to Stardust calling Galactus, because that is not a standard thing for Stardust. Boy, are you reaching with that horrible analogy! Once again, I run into someone that is supposed to be soooo "confidant" in their character's ability to win---yet are always trying to 'disqualify" perfectly good, reasonable, on panel, in canon things Superman can do---because they know it means Superman wins. Funny how I don't do that; I welcome every non PIS ability my opponent's character can do, address their powers, and state an on panel, in canon counter for them. @jagernutt: That wouldn't help Stardust escape from banishment to The Phantom Zone, being placed onto The Source Wall, or counter vibrated out of existence. Vibrated out existence? I'd love to see Superman pull that off against a ftl massively OP character that he can't even do harm to in the first place. To do any of these things you mentioned he's literally got to get that far first. I really think those types of victories are reaching a little bit. @jagernutt: Dude, stop. Stardust is not "untouchable"; he's been physically battered by Asteroth and Beta Ray Bill (though he didn't die, of course), so trying to claim Supes can't affect him at all is nonsense. It is not "reaching" to claim Kal, an MFTL man, "can't" beat him long enough to get him in the 'Zone, on the Wall, or counter vibrated. "Because you don't like that" is not a legit reason against it.